Abbreviations is a plugin that creates a table in the administration panel and cras abbreviations and put the ends of each! When you save the information as stored in the DB and messages if a user enters any abbreviation to move the mouse over it will leave a type alt or title to the termination of this! 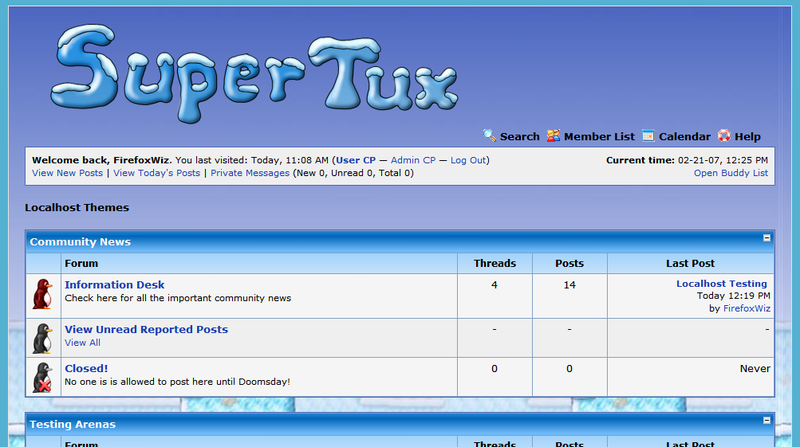 You can put unlimited abbreviations! 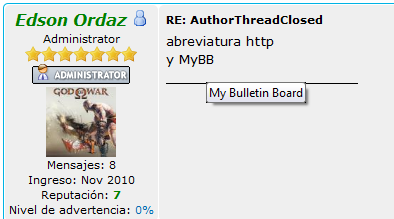 Abbreviations es un plugin que crea una tabla en panel de adminstracion y cras abreviaciones y pones las terminaciones de cada uno! 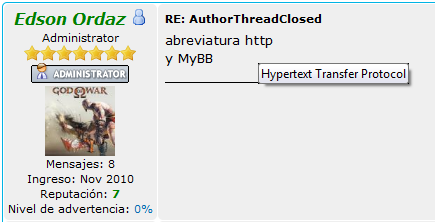 Al guardar la informacion lo guarda en la DB y en los mensajes si algun usuario escribe alguna abreviacion al situar el mouse sobre ella saldra un tipo alt o title con la terminacion de esta!